He doesn't look real happy, does he? 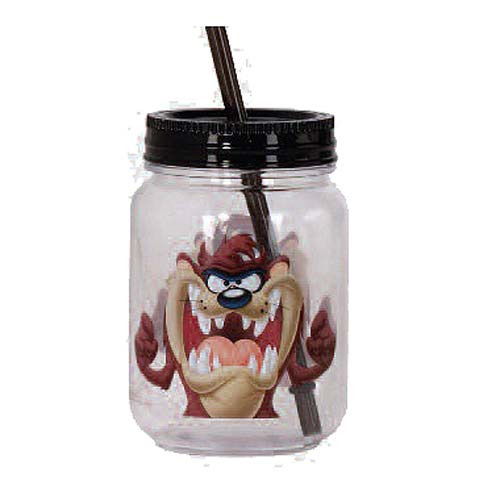 Maybe if you take this Looney Tunes Taz the Tasmanian Devil Acrylic 18 oz. Mason-Style Jar with Lid home with you, he'll settle down. Or not. BPA free, the mini Mason jar stands 5 1/4-inches tall and includes a twist-off lid with an acrylic straw. Hand wash only. Not dishwasher safe. Do not microwave.